Tubes are ¾” dia x 16swg HE30TF alloy, polished and anodized, with nylon wipers and nylon locking pads. Stainless Steel spikes to feet, with rubber covers. 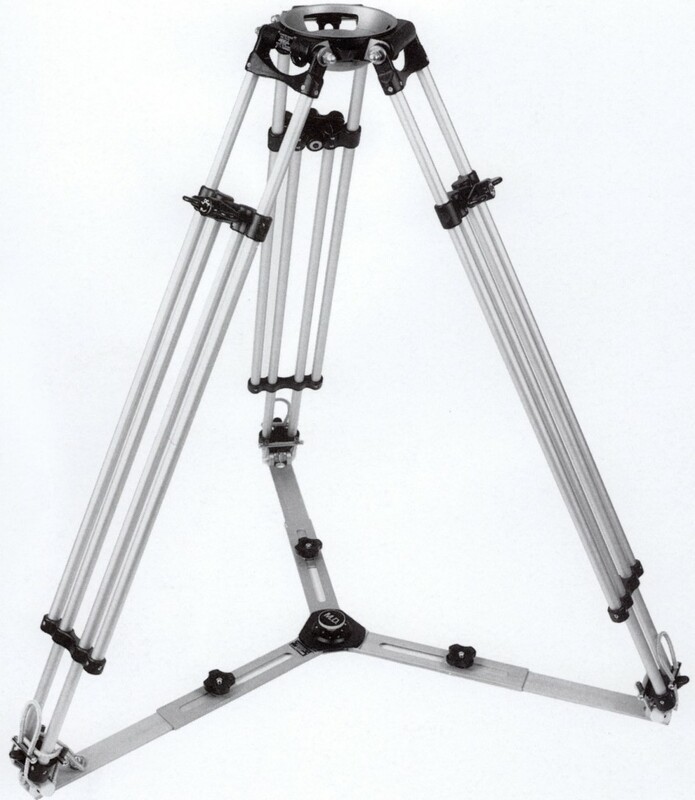 An infinitely adjustable spreader, integral tripod, with a strong elastic clip-down device, which is secured in seconds. Made from high tensile anodized aluminium with large diameter locking hand-wheels to adjust length of spread; steel parts hardened and heavily chromium plated. Molded black grain AVS. Dimensions 42” x 12” x 11” (105cm x 30cm x 27.5cm) standard. 26” x 12” x 11” (65cm x 30cm x 27.5cm) baby.